Now 40, Monica Lewinsky writes about her affair with President Bill Clinton. A Nigerian father recalls the night his daughters were kidnapped. The head of U.S. Veterans Affairs says he won't resign amid a scandal. And Monica Lewinsky says it's time to ditch the beret and blue dress. It's Wednesday, and here are the 5 things to know for your "New Day." Families torn apart: A father recalls with anguish the night his two daughters were snatched from their beds at an all-girls school in rural Nigeria. Boko Haram militants bombed the school compound and loaded the girls into waiting trucks. The militants' leader says he'll sell the more than 200 girls into slavery. The Nigerian government says it's searching for them, but the father says he's seen no sign of the military. Recovery of the girls seems a distant hope right now. Let's look at the tape: Remember our teen stowaway from last month? Yahya Abdi hopped a flight from California to Hawaii inside the wheel well of a Boeing 767. We had an earlier video of him at San Jose International airport. Now we have new video showing the stunned 15-year-old stumble onto the tarmac in Maui. He told investigators he was trying to get to Somalia to see his mother and had no clue which plane went where. Police say he's lucky to have survived the flight. Won't resign: Veterans Affairs Secretary Eric Shinseki says he still has work to do at the VA and isn't going anywhere in the midst of accusations of deadly delays in providing health care at some of its hospitals. An investigation has been launched and the White House continues to back its man. "The President remains confident in Secretary Shinseki's ability to lead the department," press secretary Jay Carney said. Two veterans groups have called for Shinseki to step down. Pro-Russian activists die: The turmoil bubbles in eastern Ukraine. There is mounting violence amid an escalation of tensions as Ukrainian forces seek to regain control of administrative buildings seized by pro-Russian separatists in about a dozen towns and cities across the south and east. Five pro-Russian activists were killed by Ukrainian forces overnight, outside the southeastern city of Mariupol, according to the pro-Russian camp. Speaking out: Say goodbye to the beret and the blue dress. 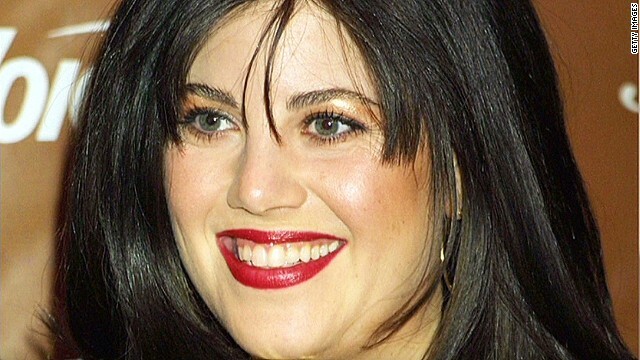 Former White House intern Monica Lewinsky is moving on nearly two decades after the affair with Bill Clinton. In the upcoming issue of Vanity Fair, Lewinsky, 40, says she deeply regrets "what happened between me and President Clinton," but she insists it was a consensual relationship. The full article will be online tomorrow. Those are your five biggies for the day. Here are a couple of others that are brewing and have the Internet buzzing. - Two paws up: Meet Ralphee the kitten and Max the cattle dog. Ralphee is a special rescue animal, but Max isn't worried about it. - WTC BASE jump: Back in September, Marko Markovich and a few of his buddies pulled off a BASE jumping stunt from the top of One World Trade Center. The view is beautiful. The legal bill, not so much. - NBA MVP: Kevin Durant's MVP acceptance speech is sure to bring a tear to your eye. Grab a hanky before you hit play. –Call HR: Mr. Walrus gets a little sassy. - Realtor of the year: A New Jersey real estate agent sent an anonymous angry letter to elderly homeowners he felt were making his job of selling a $1 million home in Ocean City harder. It's all the buzz on social media after their granddaughter shared it on Facebook. And who knows, maybe it will end up on the desk of the agent's boss. There you go. All you need to know to get an early start to your morning. Be sure to tune in to "New Day," from 6 to 9 a.m. ET, join us at NewDayCNN.com and go and have a GREAT NEW DAY! Max and Ralphee have stolen my heart! I'm back!!!!!!!! I wanted to comment about Ralphee the kitten and Max the cattle dog. Nature at it's finest!!!!!!!! What a beautiful #New Day!!!!!!! Kevin Durant acknowledging his mother as the true MVP pulled at my heartstrings. I can relate to a mother's sacrifice. I shed some tears. Monica Lewinsky wants to put the blue dress and beret behind her and get on with life? LOL – difficult to do when she trots them out as the center pieces of the re-hash of the affair with Bill Clinton. This story is so "15 years ago".